A secluded woodland area, surrounded by abundantly leaved trees, blooming plants and shrubs, accessed by a winding path and opening out into a vast green space. 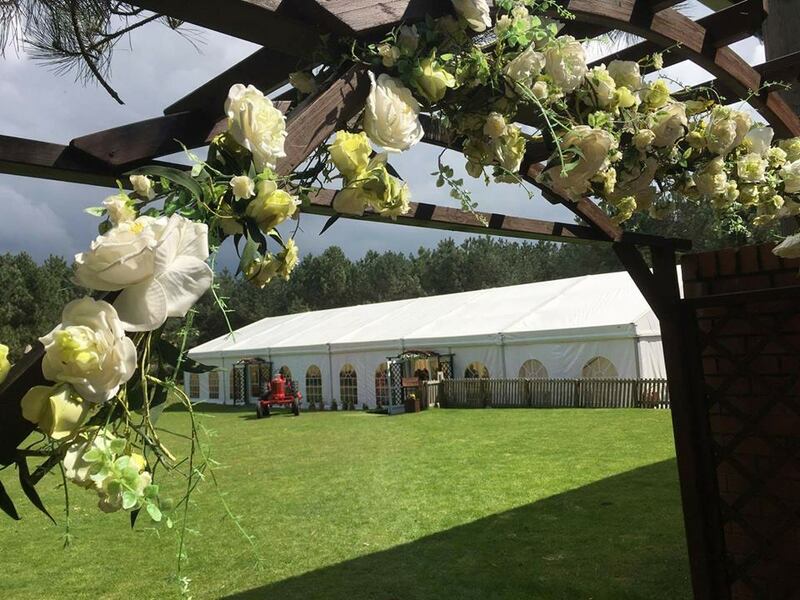 The Glade offers just that, with our stunning white clear span marquee housed within the area, it is the perfect spot to say ‘I Do’s’ in front of your nearest and dearest. Our wooden pagoda is licensed for ceremonies and is ideally place for all guests to watch you exchange vows with your partner, with the option to add in a red carpet for all the all-important walk down the aisle. The marquee is a blank canvas with so much potential to allow couples to put their own stamp on it, bringing ideas and creativity to life. This idyllic setting is ideal for creating a rustic, woodland wedding but with the flexibility to be so much more. The venue is conveniently situated just a short drive form the A30, within easy reach of the Midlands and further afield. Also located within the Forestry Centre are a number of wooden lodges for hire, creating the opportunity for a 3 day stay to make the most of your special day. There is also a dedicated car park for your guests and we have a number of local hotels which you can see on our Contact us page.